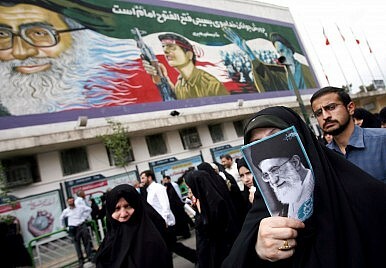 Ultra conservative criticism of Ahmadinejad is growing and Khamenei’s fatwa looks desperate. Will regime in-fighting boil over? Since the Iranian revolution of 1979, an ongoing and constant battle has been raging between different factions of Iran’s ruling elites over whose opinion should have more sway with Supreme Leader Ayatollah Ali Khamenei. Between 2005 and the presidential elections of 2009, this battle was fought mainly between ultra conservatives (who supported President Mahmoud Ahmadinejad) and reformists, ultra conservatives and moderate conservatives, and then again between ultra conservatives and reformists. Yet because the main issue revolves around the Supreme Leader himself, such debates have generally been held behind closed doors. Not anymore.These days, the battle is being fought out in the open, but with a twist—the most visible opponents to the status quo are the ultra conservatives, who are now taking on Ahmadinejad. What’s just as significant as what was said is the place where the remarks were made—in front of Ansar Hezbollah supporters, who are the backbone of the most conservative elements of the regime and staunch followers of the messianic Ayatollah Mesbah Yazdi. All this is a far cry from the loyal support offered by Keyhan during Ahmadinejad's first and second elections as president. Little more than a year ago, Ansar Hezbollah meetings were the place for Ahmadinejad's most ardent supporters and meetings were used to give warning over the ‘seditious’ intentions of the reformists who hoped to undermine the legitimacy of the regime. It would have been unthinkable back then (and probably outright dangerous) for a person to stand up and criticize Ahmadinejad at these meetings and accuse him of seditious ideology. The fact that a hardliner can now do so without fear indicates how much has changed.